Prakash Jayaramaiah, who scored 99 in the final to win the WC for India against Pakistan, says that he does not get nervous in the 90s. Mumbai: 99 runs has proved to be a lucky figure for India's blind cricketer Prakash Jayaramaiah. 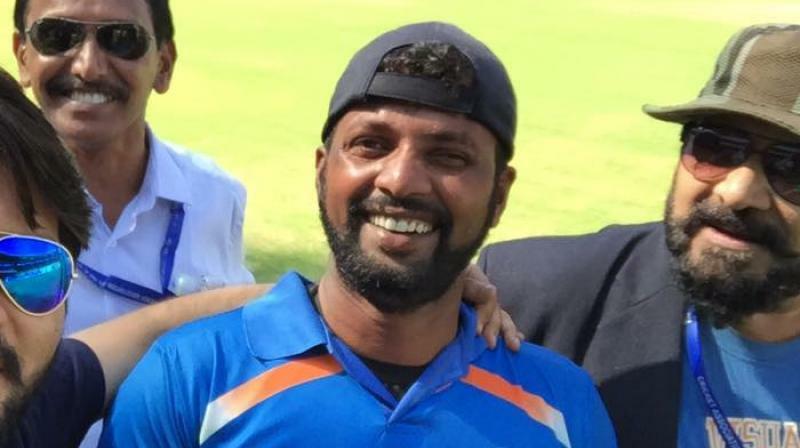 In the recently concluded cricket World Cup for the blind, which India won against Pakistan on Sunday in Bangalore, Prakash remained not out just one short of a ton. "I have no regrets on being not able to register a hundred. India's victory was more important than my century," said Prakash. "I don't consider nineties to be the nervous figures. In this tournament I scored 96, 99, 99, 115 and 99 runs. Nineties, on the contrary, have proved to be my favorite figures", he added. Jayaramaiah, the B-3 category player from Karnataka, won Man of the Match (Rs 10,000) and Man of the Series (Rs. 25,000) awards. Considering the amount the senior men's team gets, this seems to be peanuts, but Prakash has decided to distribute even his individual earnings with the rest of the team. "All the prize money won collectively and individually will be shared among all players," he added. "There was some pressure playing against Pakistan. The Pakistani team was really good and strong but Indian team is lucky to beat Pakistan on previous occasions also."